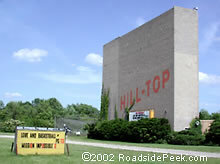 In Columbia, MO is the Sky Hi Drive-in Theatre. 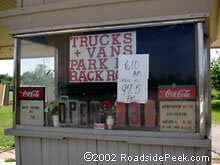 This roadside treasure which opened up in the 1960's has been demolished as of 2006. Off Route 79 in Heath, Ohio is a true abandoned theatre. 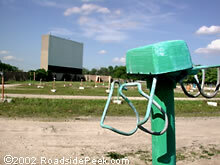 The Heath Drive-In has been closed for at least 10 years, as estimated by one carbon-14 test. The screen is "nondescript and very weedy." The Hill-Top Drive-in stands proudly in pristine condition, waiting for the sun to set. 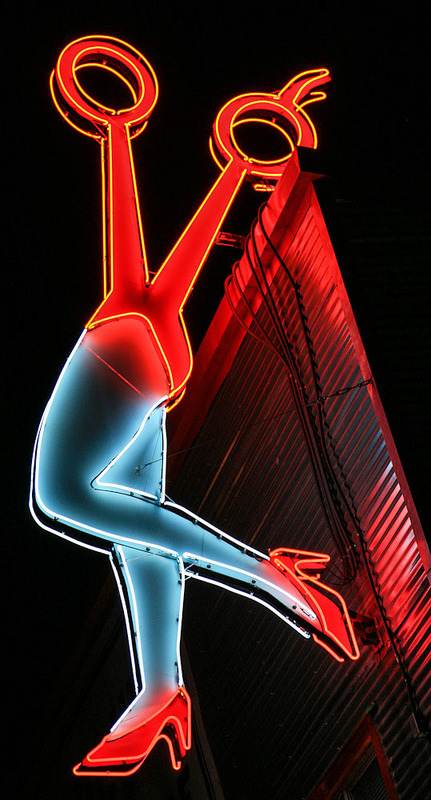 This Drive-in in Joliet sits on a well-maintained lot and has been around since 1955. The grounds appeared spotless when this photo was taken in 2001. 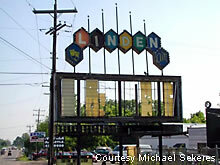 Here's the marquee for the Linden Air Drive-in Theatre of Columbus, OH. Closed for some time, the sign still stands, such as it is, and the screen is still standing too. For how much longer is any one's guess. Check out the Skyview Drive-in theatre and its space themed mural on top of the marquee. The drive-in can be seen right off the main drag in Belleville.